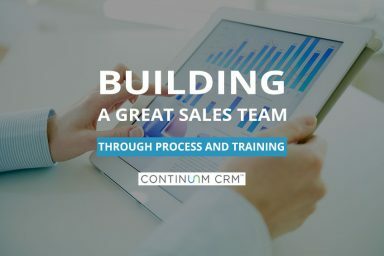 There are 2 key components to building a successful senior living sales team: training and sales process. 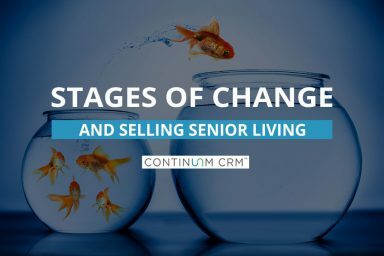 Unfortunately, providing ongoing training and maintaining a simple, effective sales process get overlooked far too often in the Senior Living industry. Trade shows can be your best source of ideal prospects ready to buy. Or they can be a complete waste of your time and marketing dollars. Too many companies come back with fewer leads than they should. 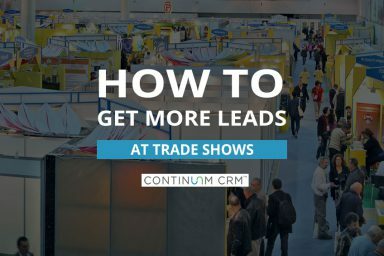 Learn what you can do to make your next trade show a success. 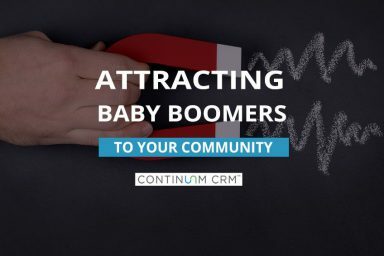 Getting reports out of your CRM tool that show you the metrics and performance indicators you value most can be a frustrating experience. But that often has little to do with the reporting capabilities of your CRM software. 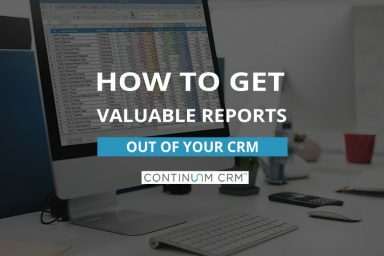 Find out how to get the most of your CRM reports here. Baseball season just got underway! 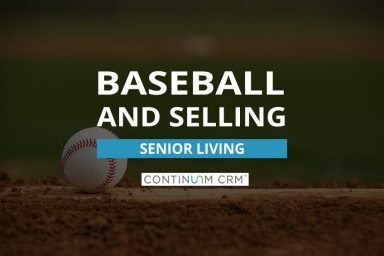 Whether you’re a baseball fan or not, the game of baseball has a lot to teach us about selling senior living. Now you might be thinking baseball and sales are completely unrelated. You’re not wrong, but there are a lot of parallels. If you want to win your March Madness pool, you know how much thought and analysis goes into picking each game. 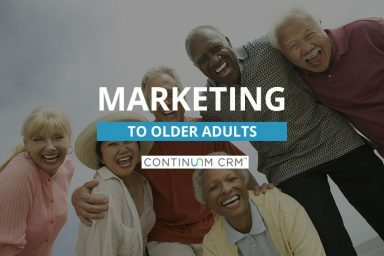 It’s a lot like buying and selling in Senior Living. They involve evaluating the field, studying each choice, and narrowing it down to the final contenders. Tens of millions of baby boomers will enter retirement in the next decade. Many of them will be looking to move into a Senior Living community. But not just any community will do. Learn how your community can appeal to this massive pool of potential residents. Senior living communities store and have access to a lot of resident personal and health information. That makes data security absolutely critical. 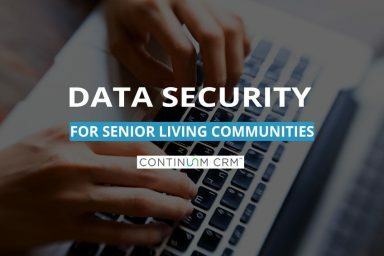 But what is data security and how can a community ensure that their residents’ data is safe? Learn what steps your organization needs to take. Is Work Smarter, Not Harder Good Advice for Selling? 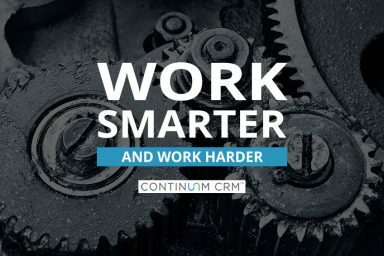 We’ve all been told to work smarter, not harder. In many cases, that’s good advice. But what about when it comes to sales and selling? Can you attract more prospects and move-ins just by working smarter? Find out why work smarter not harder might not be the right approach. 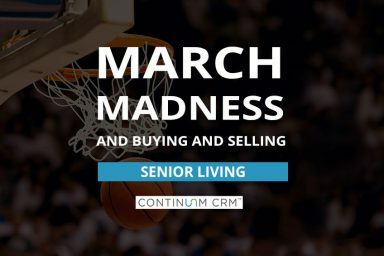 If you think marketing your senior living community to older adults means going out and licensing a bunch of stock photos to use on your website and in your marketing materials, you might want to think again. Nothing is more effective than authenticity. Ever had a prospect inquire about your senior living community then disappear for months or even years before re-engaging with you? It’s not uncommon and there are scientifically backed reasons for it. Learn why this happens and what to do about it.